Jerry Lewis Is Missing From Today's Telethon. 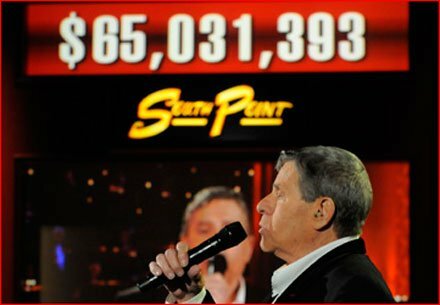 Home Entertainment Jerry Lewis Is Missing From Today’s Telethon. Australia: Surfer Torn In Half In A Deadly Shark Attack. Typhoon Talas In Japan: 18 deaths, over 50 missing and half million evacuated.